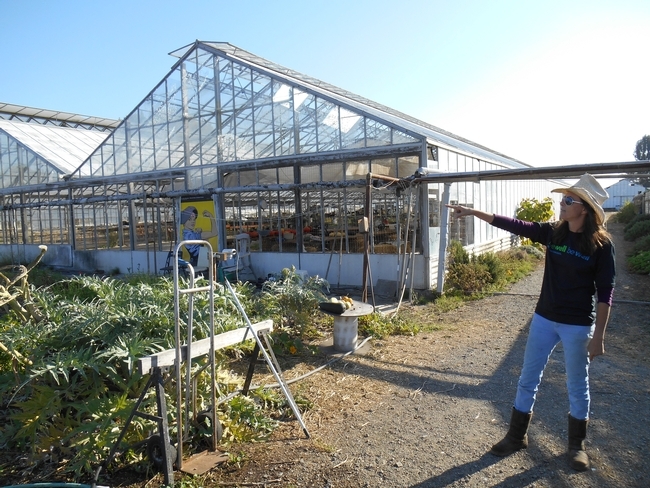 For many youth in California, agriculture is becoming part of their urban experience. Urban farms, edible parks, and garden education programs are thriving in cities across the state. These places grow food, teach youth job skills, create community green space, and help build food security. Steven Palomares is one of those youth. As an intern at WOW Farm in 2016, Steven grew and harvested produce, delivered it to local restaurants, and participated in a weekly business management class. Many youth echo Steven's sentiment, finding skills, purpose, community, and good food at the sites they are a part of. 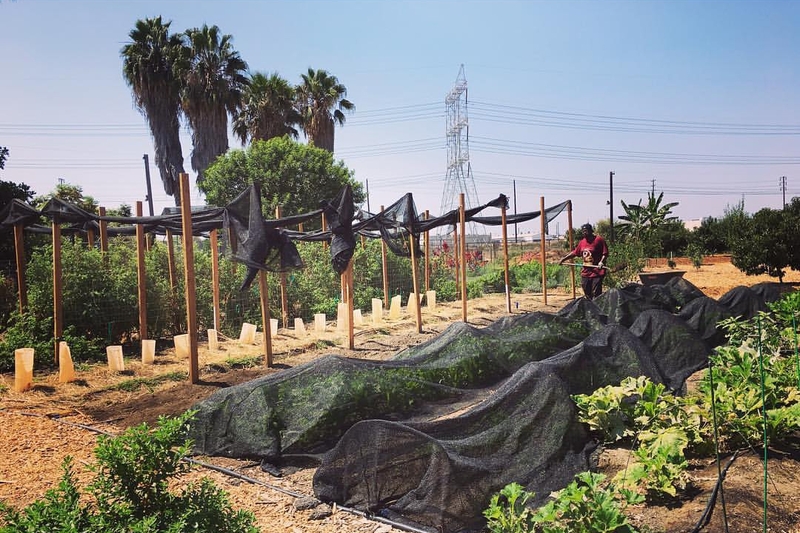 The UC Sustainable Agriculture Research and Education Program (UC SAREP) and UC Cooperative Extension Los Angeles County have been working together to better understand the ways the University of California can support urban agriculture through the lens of youth participants. These two videos, funded by the UC Global Food Initiative, are part of an ongoing effort to build strong connections between the University of California and urban agriculture programs. They highlight the community-based work of these programs and show some of the challenges they face. 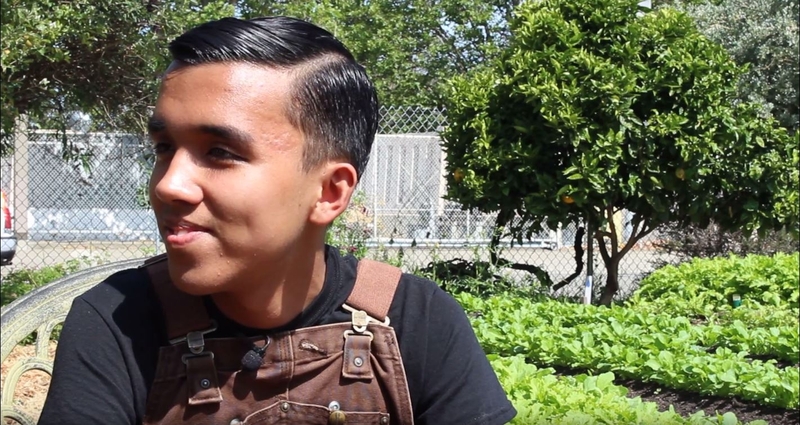 In this video, Bay Area youth share their experience at urban agriculture programs, and program manager share their goals and challenges. In this video, youth give us a tour of Southern California urban agriculture programs, their visions, and needs. Currently, UC Cooperative Extension has two advisors dedicated to working with urban agriculture. Rob Bennaton works as an urban agriculture advisor in the Bay Area, and Rachel Surls works with urban farms as Los Angeles County's sustainable food systems advisor. UCCE hosts a growing website of resources for urban farmers, urban agriculture advocates, and policy makers. "Our hope is that, by listening to people working in urban agriculture and building partnerships with them, we can find long term, meaningful ways to support their work,” said Gail Feenstra, deputy director of UC SAREP. “They share so many of the same goals as the UC — they're really focused on developing leaders who will make our cities healthy, prosperous places to live." Steven Palomares may just be one of those leaders. In fall of 2015, Steven began his freshman year at UC Davis majoring in biological sciences and political science, interested in pursuing work that integrates science and policy. Also on his mind: someday Steven wants a home garden growing all the necessary produce for salsa and guacamole. We know that eating plenty of fruits and vegetables is key to a healthful diet, but not everyone has ready access to a grocery store or can afford to buy fresh produce. One approach to the problem is to bring the farm closer to people's homes by making it easier to grow food in backyards and on vacant urban land. 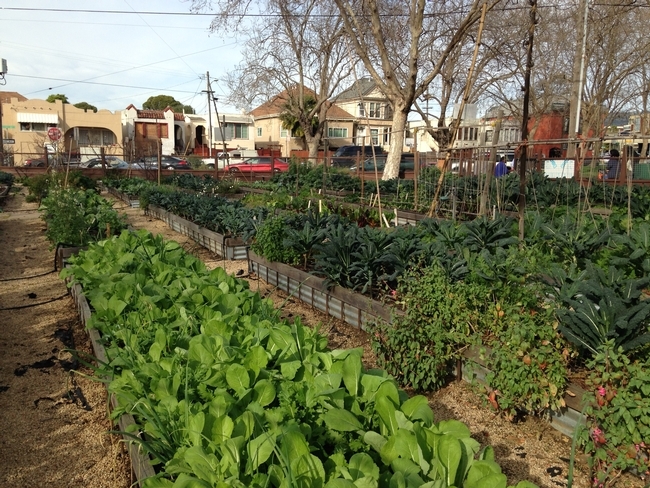 To find out how to help people who want to grow food in their communities in California, Rachel Surls, a UC Agriculture and Natural Resources Cooperative Extension advisor, and several UC ANR colleagues interviewed urban farmers as part of a statewide study of urban agriculture needs. Surls, who specializes in sustainable food systems in Los Angeles County, and her colleagues identified several common challenges that UC ANR and local governments could address to cultivate a more urban agriculture-friendly environment. 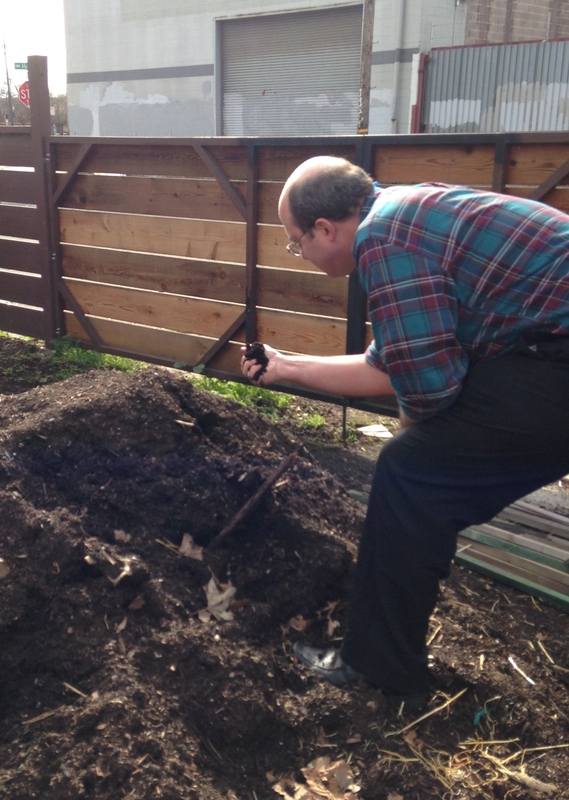 Rob Bennaton, UC Cooperative Extension advisor, helps urban farmers test soil in Alameda County. Provide guidance and support for soil testing and remediation. There seems to be growing interest in cities encouraging urban farming. 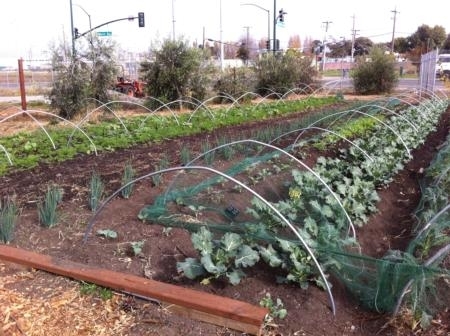 For example, last year Oakland updated its city codes to allow planting of community gardens in most zones of the city without obtaining a special permit. San Diego has made it easier for residents to keep chickens and bees in their backyards. 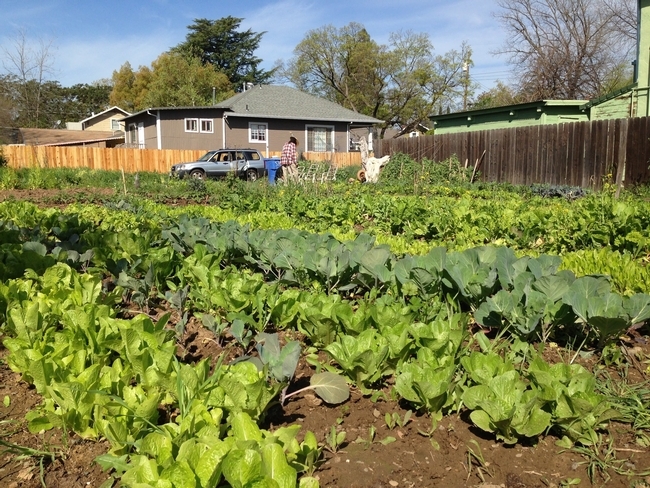 The Sacramento City Council recently voted to allow residents to farm on urban lots and sell produce they grow at farm stands. And now, Santa Clara County is considering tax breaks for property owners who allow crops to be planted on their unused parcels. 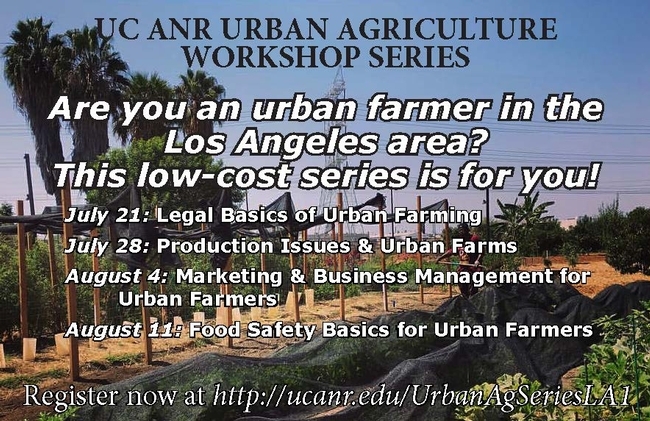 Urban farmers told the researchers that UC ANR could help by providing educational materials on topics such as pest management, water management, design of community urban agriculture projects and soil testing and remediation. To begin providing the public with information about urban agriculture, UC ANR has created a website at http://ucanr.edu/urbanag. Visitors to the website will find science-based information on raising crops and livestock, selling farm products and links to policies for farming in a backyard, at a school or a community garden. For the latest information about urban farming, visit http://ucanr.edu/urbanag and follow @UCurbanag on Twitter. Cities can allow residents to farm on city-owned vacant lots and entice property owners to lease their land for gardens in exchange for reduced property taxes. Urban farmer Pilar Rebar gives a UC ANR team a tour of her organic seedling operation in Richmond, Calif.
Urban farms are popping up around the state, and a UC ANR team recently took a close-up look at urban agriculture in California. In particular, we wanted to learn about farms in cities and on the edges of cities that are selling or distributing their products. We visited urban farms and interviewed farmers to find out about their operations, their challenges, and especially, what UC ANR could offer that would be most helpful. We used what we learned to create the UC ANR Urban Agriculture website, a portal where California's urban farmers can find information they need on a wide array of topics. Here are a few of the insights we gained on our visits. California's urban farms are usually small, but not always. Among the 27 farms we visited, the median size was one acre (in other words, half of the farms were larger than an acre, and half were smaller). And the range in size was wide. The smallest was 3,000 square feet, while the largest was 1,000 acres! Excluding the 1,000-acre farm, the average size was 2.8 acres. Compared to the average size of a farm in California, which is 328 acres, according to the 2012 USDA Census of Agriculture, urban farms are very small. Two farms were multi-generation family farms started in the 1950s by the current farmers' parents or grandparents and these farmers are highly experienced. Although their farms now operate in urban environments, they didn't start out as urban farms. “The city came to us,” as one farmer put it. The other farmers we interviewed have been learning farming from the ground up. Among the urban farms we visited, most are part of a non-profit organization or government agency with a larger mission. Urban farming is used as a vehicle for reaching the organization's goals, for example, teaching business skills to youth, or improving healthy food access in under-served communities. When asked about challenges in starting up their urban farms, the most common issues farmers mentioned were business and financial planning, marketing, and accessing land. From a business perspective, most urban farmers were still learning how to make their enterprises profitable. They also struggled with production issues such as crop planning, pests, and irrigation. And many had encountered confusing zoning issues and regulations. How can UC ANR help? One theme that emerged through our visits and discussions with urban farmers is the need for a ready and reliable source of information on everything from starting a farm to production to local regulations. With experts around the state, UC ANR has access to research and information on a wide variety of farming and related topics. The UC ANR Urban Agriculture website has been created as a resource for urban farmers in California, where we'll continue to add helpful material, urban farm stories from around the state, and updates on policies in our metropolitan areas. We encourage urban farmers and urban agriculture advocates in California to connect. Suggest ideas for our blog, share information and photos about your urban farm, and ask questions, via our Facebook page and Twitter. We look forward to hearing from you!